The other thing is that the specific modeling setup I presented is likely to be valid since the results obtained with this setup are the ones that would normally be expected. So, it’s not so much the result that REIP49 is the best predictor, but rather that the setup I created may be used for future variable importance assessment as new data come in. I already guessed the first point, but the second one only occurred to me in hindsight. Seems to happen rather often in research, though. As planned, I’m currently at the Biosphere II, somewhere in the middle of nowhere in Arizona. The conference is great, there are no parallel sessions, I can actually talk to everyone and I know roughly what everyone’s doing. We had our greenhouse tour yesterday and it was quite impressive to see such a huge structure being completely sealed from the outside. My previous talk at UW went rather smoothly. When listening to the IDA sessions yesterday I already had a few more ideas to make my thesis somewhat more reviewer-proof — seems like a side-effect of conferences when other people’s work has an inspiring effect on one’s own work. My slides for the IDA’2010 conference are here:russ2010ida-slides.pdf. My upcoming talk at the University of Waterloo will be meandering along the same lines. The respective publication for the IDA conference is here: Spatial Variable Importance Assessment for Yield Prediction in Precision Agriculture. There’s also the Springerlink URL: http://www.springerlink.com/content/p63pn0561u18r34w/. and lots of high-resolution geodata. The invitation was offered by Alexander Brenning. I’ll be traveling further to Tucson/Oracle/Biosphere II/Arizona for the IDA 2010 conference. Further information is going to be given right here in due course. Our paper on Spatial Variable Importance Assessment for Yield Prediction in Precision Agriculture (with Alexander Brenning) has been accepted into the IDA 2010 conference taking place in Oracle, Arizona, at the Biosphere II site. I’ll take a stopover on the outbound flight to Arizona in Toronto to visit Alex. 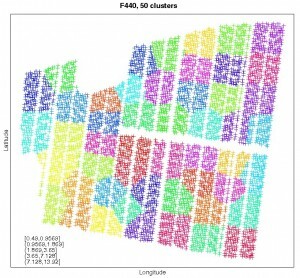 And yet another paper on the topic of Data Mining in Precision Agriculture: Management of Spatial Information has been accepted for the IPMU 2010 conference, which will take place at the end of June in Dortmund, Germany. The reviews were quite encouraging and some points were made which I’d already thought of before and which are in my thesis draft. The difference between these two conferences couldn’t be greater: 20 talks (in three days) for the IDA, and about 300 in five days for the IPMU, with a lot of sessions. Got it. 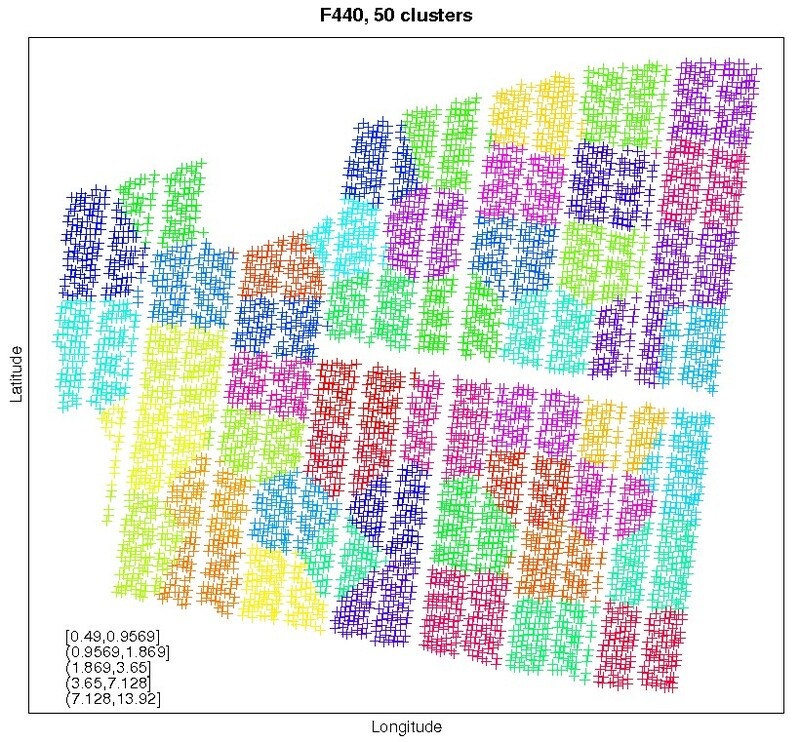 Last week I finished the programming work for something I’d call hierarchical agglomerative average-linkage clustering with spatial constraints. Seems complicated, sounds complicated, but the R-code is something around 300 lines long. The exact reasoning for why I did what is going to be in one of the next papers. Nevertheless, two illustrative videos emerged. In preparation of my thesis defence, I recently gave two more or less local talks at our university. The first took place on Jan 14th 2010, as part of the DKE-Doktorandenkolloquium. My talk covered the three major parts of my dissertation, namely the introduction of spatial cross-validation for yield prediction, variable importance measurements and a spatial clustering approach tailored to precision agriculture data. My direct supervisor happened to be there and gave me positive feedback and some things to waterproof for a final defence presentation of my thesis. Some questions could be preempted or at least I could prepare (for) the answers beforehand. The slides:slides-russ2010dkekoll.pdf. Then, in fulfillment of our institute’s formal requirements for obtaining a PhD title, I gave my talk at the Doktorandentag on Feb 02 2010, which is some kind of preparatory talk for the final defence. Again, my talk went much better than the one before, even though it was heavily shortened. I guess there was some talk routine now, after the numerous conferences I went to. It seems that this was the second talk I gave in German during my PhD time. That’s why the slides are in German, too: slides-russ2010dday.pdf. The following is a link to the R scripts which generate the figures used in the ICDM’2010 (to-be-reviewed) paper. The functions for computing the root mean squared error are in 20-*R and 21-*R, where the first is for the non-spatial case and the second is for the spatial analysis, including clustering (which is a one-liner in R, just as many other things). 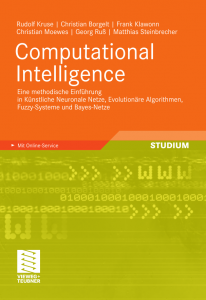 The relevant functions are NonSpatialRegression() and spatialPredictionWithClustering(). The scripts might not be of much use without the data sets, but they may be tailored easily to other data sets. Should you have questions, feel free to drop me a few lines, I’m happy to answer. You might also consider participating in my workshop on Data Mining in Agriculture (DMA’2010).